In print: The Doomsday Vault by Steven Harper. It’s a steampunk book. I’ve just started it but it seems like a good read. Mostly I chose it for the size: I take it with me on the bus and it has to fit in my pocket. In ebook: Blood by Tara Maya. It’s the sixth book in a fantasy series set in Stone Age. I’d recommend the series to people who like high magic in a less common setting. In audio: Man in the Empty Suit by Sean Ferrell. I bought it on recommendation by a blogger and a few other reviewes. It’s a time travel story. 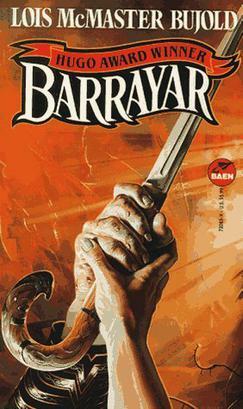 The fourth book in the series. Lots of spoilers for the previous book, Mendoza in Hollywood! At the end of the previous book the Botanist Mendoza was sent far away. Two other immoral cyborgs, Joseph and Lewis, are searching for her. Joseph recruited Mendoza from the dungeons of the Spanish Inquisition and Lewis has apparently fallen in love with her. In addition to having some fatherly feelings toward Mendoza, Joseph is driven by guilt. For a long time, he has known that something is wrong. The cyborg who recruited him, one of the really old ones named Budu, has also disappeared but Budu gave Joseph a file first. Joseph has been too afraid to access it but now he’s forced to do so and he’s afraid of the information he finds there. The story starts in Hollywood 1996. In the previous book Mendoza and another cyborg, Einar, were thrown forward in time from 1863 to 1996. This should be impossible but it turns out that Mendoza produces Crome particles which enable time travel. But she can’t control it. Lewis witnesses Mendoza and Einar being sent back to 1863 where they are suppose to be. The Company doesn’t tell Lewis much about it but he investigates on his own. This is dangerous because he’s defying Company’s orders not to do so and the Company can and does monitor the cyborgs all the time: they have been engineered to send a continuous data stream to the Company. Lewis contacts Joseph who has accidentally gotten on his hands a device that can short circuit the data stream for a day. Joseph and Lewis question the last immortal who saw Mendoza. Later, Joseph questions another of the group who was stationed with Mendoza. However, it takes a long to find out any clues about where Mendoza is and what else the Company is hiding, especially because it has to be in secret. The story takes place in 2025, 2142, 2225, and 2275. Lewis and Joseph meet and compare notes. We also find out a lot about the changes in the world. By the way, while the story jumps forward in time, the characters live through the years normally (if that’s the word for immortal cyborgs). Between each jump forward in time, there’s an interlude called “Joseph in Darkness” where he talks about the search, about his motives and feelings and about the changes in the world. To other people they probably feel like infodumps but I was fascinated. We don’t, of course, know the details about how most of the world became vegetarian, for example, but I enjoyed the broad strokes, too. Lewis is a Literature Specialist, not a secret agent. He becomes fascinated with the mortal man, Edward, who looks just like Mendoza’s first (and only) mortal love. Who was burned at the stake in 1554. In 1863 Mendoza left her post and killed mortals because of Edward. Lewis becomes convinced that Edward is some sort of Company tool, somehow living for centuries even though he’s suppose to just a mortal. Eventually, Lewis starts to write a book where Edward is one of the central characters. We also get to know his back story. Joseph is a more serious character. He doesn’t actually want to be in danger but in the end, he feels too guilty about not find Mendoza and Budu earlier. He’s lived a long time and he doesn’t have a high opinion on humans. The book has quite a lot of humor. In the future alcohol, tobacco, chocolate, and animal products have been made illegal and so the cyborgs do their best to indulge while they can. They can’t actually get drunk but chocolate produces the same kind of effect. So, there’s a scene where Lewis and Joseph are in a chocolate bar, drinking hot chocolate and eating chocolate, and the waiters wonder why they behave like they’re drunk. Lewis even snorts chocolate powder up his nose. The previous books have hinted that the Company is doing pretty awful things but here we witness some of them first hand. Apparently, they’ve even taken a hand in human evolution. When humans still lived in caves, there was a large cult who killed anyone who tried to invent anything new. The Company decided that the cult should be exterminated and created a race of huge, aggressive cyborgs to essentially kill other people. Unfortunately, after a while they became too inconspicuous and the Company couldn’t have that. Unfortunately for the Company, the cyborgs can’t be killed so the Company had to something else with them. It seems that the Company don’t value the cyborgs as individuals but just for the work they do. And then there’s the ominous year of 2355 when the silence starts. 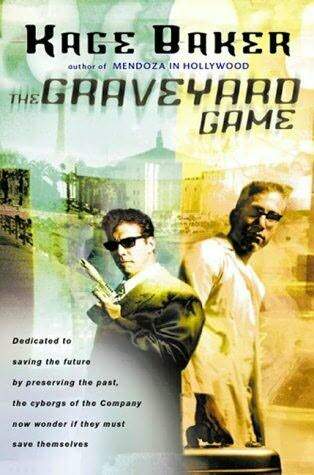 The Graveyard Game advances the big plot a lot which was great. Mendoza isn’t seen in the book at all. Yesterday, the topic of Top 5 Sundays at Larissa’s Bookish Life was Favorite Female Book Characters. This is going to be very hard. I’m also going to limit myself to just one character per writer. She’s stubborn, quick to anger, quick to challenges others to duel, and carries grudges as long as she lives, which is several thousand years. She’s also very loyal and bright. I’m an unabashed fan of Cordelia: her anthropological attitude towards the Barrayarans, her wry humor, and her fierce loyalty to her family. She’s also ruthless when she has to be, to protect her unborn son in any way she can. She’s very resourceful but that could be because she’s grown up in a society where she could be whatever she wanted to be. She doesn’t know that on Barrayar she should be constrained by her gender, and so she isn’t. The books she’s in are written from the Boss’ first person point-of-view and we never get to know her name; the other characters call her Boss. She’s fiercely independent and even paranoid about her privacy. Her ship’s name is Nobody’s Business. The Honorable Phryne Fisher investigates all sorts of mysteries in the 1920s Australia. She’s an unorthodox woman for her times because she’s independent, drives fast cars, and flies fast airplanes. Another female main character in a historical mystery series. Amelia is a Victorian woman, an Egyptologist, and an amateur sleuth. She solves mysteries together with her family. Honorable mentions: Sethra Lavode, Cawti, and Kiera by Steven Brust, Elli Quinn, Taura, and Ista by Lois McMaster Bujold, Dr. McMillan by Greenwood, Briar Wilks and Mercy Lynch by Cherie Priest. The second book in the Vorkosigan series, in the internal chronological order when Falling Free is considered a prequel novel. Part of Cordelia’s Honor omnibus. The Vorkosigan series is one of my favorite series ever and Barryar is one of my favorites in the series. I strongly recommend reading “Shards of Honor” first where Aral and Cordelia meet, and their worlds are introduced. Cordelia Naismith Vorkosigan is a former exploration ship captain from Beta Colony but is now married to Admiral Lord Aral Vorkosigan who has been appointed the Regent of planet Barrayar. Cordelia comes from a very different culture and she’s still trying to navigate the strange Barrayaran culture. She’s especially lost among the high military caste Vor who have some pretty strange attitudes and customs, from Cordelia’s point-of-view. She’s pregnant with their first child. Aral is attacked with a soltoxin in their bedroom and Cordelia is exposed to the gas, too. Unfortunately, the toxin deforms the unborn child and Aral’s father wants them to abort the child and try again. However, Cordelia doesn’t give up. Over her father-in-law’s loud objections, but backed by her husband, she has the fetus transferred to a uterine replicator, an artificial womb. In the UR, the doctors can try to correct the damage done to the fetus. At the same time, a civil war breaks out on the planet and the UR becomes one of the hostages. The start of the book is pretty leisurely with Cordelia trying to figure out Barrayaran culture and getting to know the dowager Empress Kareen and her five-year-old son Gregor. The poor boy is already a pawn in political games but he isn’t spoiled or coddled. Kareen is also a pawn, but she knows it and she’s determined to protect her son and herself. Some of the recurring characters in the series are introduced here: Cordelia’s bodyguard and a very good friend Droushnakovi and Lady Alys Vorpatril who is Cordelia’s guide in the Barrayarn culture and etiquette. It was also a bit strange to see how Aral’s father Count Piotr treated Cordelia before the soltoxin attack. He was one of her guides to the Barrayaran mindset and very kind towards her. Then, after the attack his attitude changes completely, which is sad. I’m an unabashed fan of Cordelia: her anthropological attitude towards the Barrayarans, her wry humor, and her fierce loyalty to her family. She’s also ruthless when she has to be, to protect her unborn son in any way she can. She’s very resourceful but that could be because she’s grown up in a society where she could be whatever she wanted to be. She doesn’t know that on Barrayar she should be constrained by her gender, and so she isn’t. Of course, being the wife of the most powerful man on the planet helps, too. Aral is also one of my favorite characters ever. He’s an honorable man who was put into a very dishonorable situation in “Shards of Honor”. Here, he’s still loyally serving his Emperor as a Regent to a five-year-old Emperor. He has every intention of serving well and giving the empire back to Gregor when the time comes, but his enemies are convinced that Aral will take over. So, they launch an attack first. Both Cordelia and Aral are good people, trying to do the right thing with circumstances and culture which is making it very hard. I also adore the secondary characters. Count Piotr has lived a turbulent life, earning his Generalship during the fight (with horse cavalry!) against the Cetagandan invaders, making the transition to space flight, and seeing Mad Emperor Yuri kill his wife and eldest son. He surely knows how bloody Barrayaran wars can be. Lieutenant Kou who was wounded during the previous war and has to walk with a cane for the rest of his life in a society where cripples are expected to kill themselves. Cordelia’s bodyguard Drou who would have made an excellent officer, but who lives on planet with males only military. She always thinks that she isn’t as good as the “real officers” because of her gender. And tortured Sergeant Bothari who was used and abused by men with the power to do so. I go to the local library to borrow books, comics, and movies. Sometimes I use the local equivalent of the interlibrary loan to borrow books or comics from other libraries. I go there on average about once or twice a month, sometimes more frequently and sometimes a few months go by without going there. I don’t think we have a “multi-media center” even though the library closest to me is the central library of my city. Collects Planetary #1-6 and Planetary preview originally published in G13 and C 23. The three people which make up the Planetary crew are mystery archeologists: they want to find out the secret history of the Earth. And oh boy, are there secrets to uncover! Planetary has many literary references from Jules Verne to Edgar Rice Burroughs but mostly Ellis riffs off of popular superheroes, such as the Justice League and the Fantastic Four, and makes them the antagonists. For too long now many of the superhero comics, at least the ones I’m familiar with, have become dark and depressing and, well, unheroic. I’m usually sick of it. The real world is depressing enough. But here it actually works and I think it’s because Ellis gives us wonder to go with the darkness. For example, in the very first issue of Planetary, the “villains” (if you want to call them that because they are really just defending their own world against the meddling of our “heroes”) are clearly alternate universe JLA. But in that very same issue we are also given a group of heroes to root for and they are based on literary references, such as Lord Blackstock who was raised in Africa, and Doc Brass who is modeled after various pulp magazine heroes. In the other issues we get to meet an island of monsters, a vengeful ghost, and more. I love this comic! Pretty much the only complaint I have is that compared to everything else, the three main characters are quite bland. The Drummer remains a cypher throughout the whole comic. He’s a walking information nexus and he can manipulate and access info pretty much at will. His only personality trait is that he irritates Elijah Snow. Jakita Wagner is a pretty traditional super heroine: she’s beautiful, very strong, fast, and almost indestructible. She’s also an adventurer at heart; she bores quickly. Elijah Snow is the focal character. He’s what I’ve come to understand is a default Warren Ellis hero: a cranky old man who yet loves humanity and is concerned with the future of humanity and Earth. At the start of the story, he has significant gaps in his memory and getting his memories back is an integral part of the story. This is a solid opening to the series. Many of the issues feel like they are stand-alones but they have repercussions later in the series. And of course, in issue six we meet the enemy: the Four. They are three men and one woman who went into space at the same time as the US launched the first Apollo mission. But the Four went there not because they want to explore it but because they were sent there by secret, and evil, government agents. The Four were transformed during the space flight but they use their new powers and knowledge to get more power to themselves and to stay hidden from the world. Now, I’m a huge fan of the Fantastic Four and I still love this twisted alternate version. They’re terrifying. Cassaday’s art is gorgeous. He can also change his style to fit the mood of the story, as is seen in the third issue which looks and feels more like a movie than a comic. Oh, and if you haven’t read the comic but are interested in doing so, do yourself a favor and stay away from the Planetary Wikipedia pages. All of the secrets are revealed there and at least to me a big part of the fun was finding out things alongside with the characters. Today the topic of Top Ten Tuesdays is Top Ten Characters in X Genre. I think I’ve already harped enough about my favorite fantasy characters so today I’m going to choose science fiction and limit myself to just one character per writer. She’s a starship captain and her crew are her relatives so she very much wants to keep them safe and sound which sometimes seem impossible. In Shards of Honor, she’s a Captain of a deep space exploration ship but things go awry on her career. She’s smart, logical, and empathetic, and yet ruthless when needed. In Barrayar she behaves like an anthropologist studying an alien culture. And she is surrounded by culture which is very different from the world she grew up in. Joseph is an immortal cyborg who has lived through a lot of human history. Eliza is an agent in the Ministry of Peculiar Occurrences. She’s opinionated, very good with guns, and stubborn but also stubbornly loyal to her friends. Pretty much the only thing she’s afraid of is her feelings towards men. When Ragnarok destroyed Earth and Valhalla, Muire was the only valkyrie to survive it and she did so by running away. She’s convinced that she’s a coward and a terrible person because of it and she tries hard to make up for it. Katniss is a very determined young woman. She pretty much the main breadwinner for her family and she doesn’t hesitate to protect her sister. When we meet Jet at the beginning of “Black and White” she seems like a super villain. However, she has her reasons for doing what she does. She’s in a bad situation but has made the best of it, even using others’ perception of her to her advantage. He’s the absolute head of his clan but he doesn’t misuse his power over others. If anything, he seems to want to help the members of his clan and is gracious towards others. Venera is a character who is usually seen as a villain; a ruthless, very intelligent woman who is plotting all the time how to turn every moment into her advantage and how to make people into allies. I found her absolutely fascinating as a main character.